All that follows is with the benefit of hindsight but it could be argued that the severe limitations placed upon Tottenham Hotspur this season through choice and circumstance have actually helped rather than hindered. Here’s the theory and it’s a theory that necessitates simplifying the reasons why Mauricio Pochettino finds himself threadbare of options as his squad approaches the ‘business end’ of a so far impressive campaign. Let’s simplify it solely to the protracted, costly, and substantially distracting stadium build. Of course there are other factors that have resulted in the Argentine coach employing eleven of his most trusted troops in three-quarters or more Premier League games this term, with rotation a luxury beyond him. Daniel Levy’s infamous parsimony – or, if we’re being kind, cautious conservatism – in the transfer market is right up there as a root cause, suggesting as it does that even without the new White Hart Lane draining the club’s capital Spurs would hardly have been spendthrift last summer and this despite possessing a group of players just one or two shy of achieving potentially great things. A prohibitive wage ceiling should also be considered; a self-imposed handicap that makes it extremely difficult to lure elite talent when there is serious competition for their signature. Even so, how can we look past the imposing, state-of-the-art abode when explaining why the north London giants were the only club across Europe’s top five leagues not to recruit a single player last summer, an abstinence repeated in January. 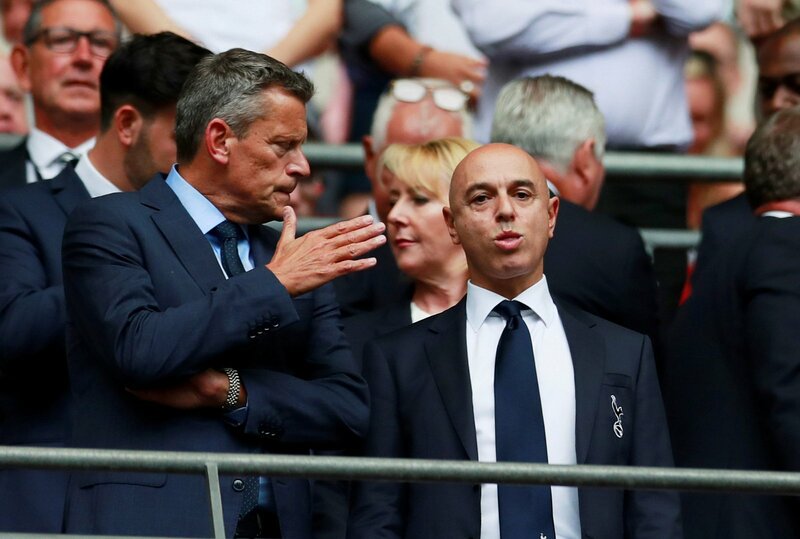 It is hard to gloss over that point, just as it would be a fool’s errand to try convincing anybody that it was in Tottenham’s best interests not to sign some of their rumoured summer targets. With no stadium demanding their every resource some top talent could conceivably have joined Project Pochettino and this would have given an already highly accomplished squad some much needed strength in depth. With that greater number of options would Spurs have endured such a horrendous injury record? Probably not, and furthermore we can all-but-dismiss the debilitating situation of players growing stale through over-use, something that we’ve seen this year on occasion even when results have gone their way. There is no getting around that. There is no denying that the building of a stadium to further their cause in the future has genuinely hampered them in the present. And yet a counter-argument arises all the same, suggesting that it is precisely Tottenham’s tethered restraints that has indirectly propelled them this far, to the over-achieving zenith of still being viewed as title contenders with spring mere weeks away. 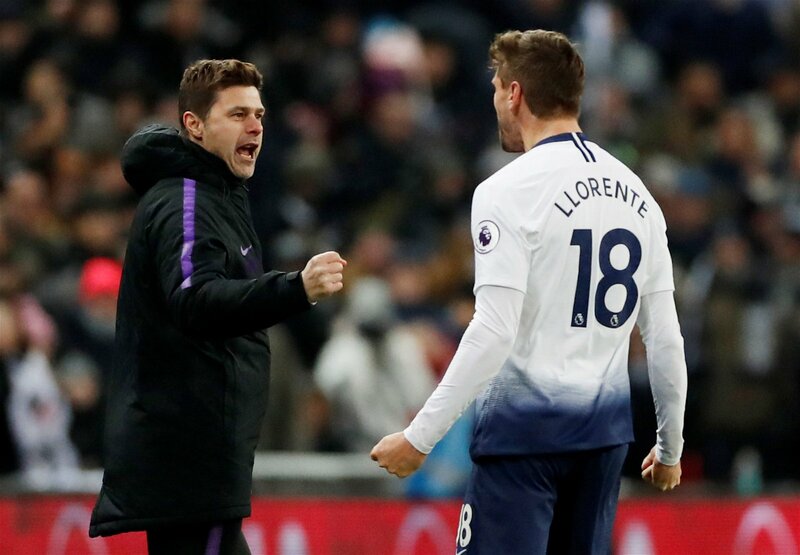 Because what it has forced Pochettino to do is essentially revert to the old-school mindset of yesteryear; before football became a ‘squad game’, when a select nucleus of players competed all season long. From this consistency is forged, that shows itself in an individual sense as players build up a momentum of form and confidence and as a collective too. More so, it fosters an esprit de corps mentality, a togetherness that explains better than anything else why Spurs currently boast the best away record in the top division. Throw in an against-the-odds mind-set that Pochettino will have surely taken advantage of and what you have is a lean, mean gang of players highly attuned to each other’s movements and desperate to prevail. Could the same be said had Tottenham brought in more competition for places? Probably, possibly, maybe not. It would be quite outstandingly stupid to claim that having two great players fit and available for each position is a negative, and that is absolutely not being posited here. Yet while the evolution of modern football into a squad game has ushered in benefits galore for clubs and coaches it should not be forgotten that the exclusivity of times past – where leagues and European Cups were won from a roster of fourteen players from August to May – had its plus points too. Through necessity it may be but the wily and pragmatic Pochettino has tapped into this clearly. And Spurs are reaping the rewards.